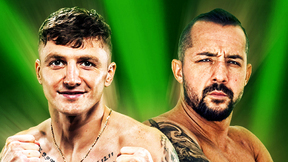 UFC FIGHT PASS presents eight bouts from PRIDE FC which could only be described as crazy. 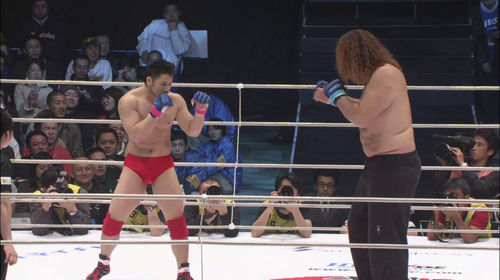 Behold such sights as fighting giant with a poodle perm, the 6ft 7inch, 400lbs Zuluzihno in a PRIDE ring and a future WWE performer trying to compete with Cro Cop. 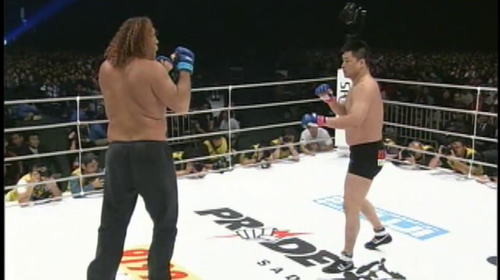 Ikuhisa Minowa vs. Paulo Cesar Silva PRIDE: Bushido 10 Apr 2, 2006 (8:07) Openweight legend Ikuhisa Minowa with his catch-wrestling submission skills and 31-23-8 MMA record readied to enter the ring against the monstrous 7’2” Paulo Cesar “Giant” Silva in his 7th and final PRIDE appearance. 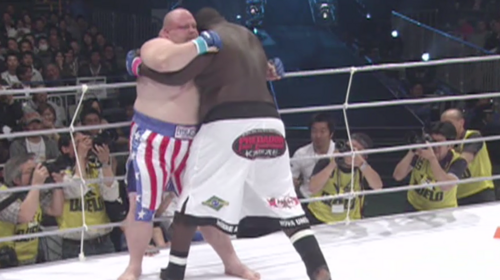 Eric Esch vs. Wagner Da Conceicao Martins PRIDE 34: Kamikaze Apr 8, 2007 (5:56) Not the quick finish you’re expecting as two behemoths with KO power collided as super-heavyweight boxer Eric “Butterbean” Esch with his 9-3-1 MMA record faced the monstrous - 6’7” and 350+ lbs. 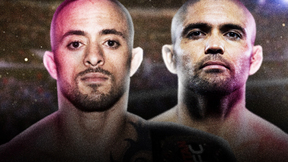 - Wagner da Conceicao Martins and his 7 MMA wins by KO/TKO. 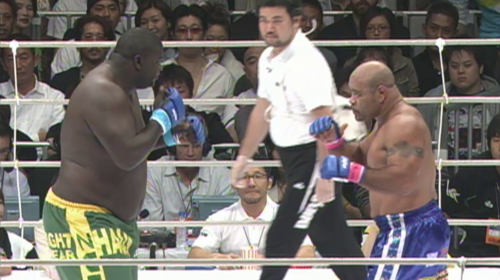 Daiju Takase vs. Emmanuel Yarborough PRIDE 3 Jun 24, 1998 (17:25) Every fight is “David vs. Goliath” when one of the competitors is former American sumo wrestler Emmanuel Yarborough who was 6’7”, 600+ pounds, and taking on Daiju Takase who was making his pro MMA debut against that mountain of a man. Mirko Cro Cop vs. Alberto Rodriguez PRIDE: Bushido 1 Oct 5, 2003 (6:43) Hopefully, fighting a guy in a mask was on Mirko Filipovic’s bucket list. PRIDE made an open challenge for anyone to fight knockout artist “Cro Cop”, many answered and one was picked - Mexican amateur & pro wrestler Dos Caras Jr., who owned a 3-2 MMA record. 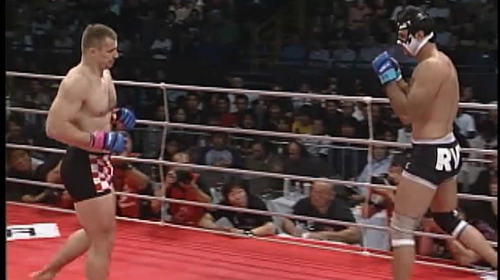 Semmy Schilt vs. Akira Shoji PRIDE 16: Beasts from the East Sep 24, 2001 (13:57) Making his PRIDE debut after a 1-1 stint in the UFC, the 6’11” Dutch karate striker Semmy Schilt owned a 19-10-1 pro record including 10 KO/TKO wins and was set to face fan-favorite Akira Shoji with his 8-5-5 pro record and ready for his 13th PRIDE bout. 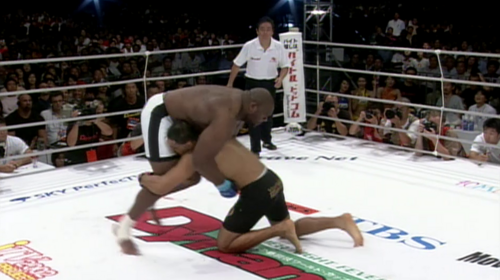 Minotauro Nogueira vs. Bob Sapp PRIDE: Shockwave 2002 Aug 28, 2002 (21:46) MUST SEE TO BELIEVE! In an MMA war like none other, PRIDE heavyweight champ Antonio Rodrigo Nogueira, who owned elite BJJ blackbelt skills and a 10 fight win streak, faced the undefeated, 6’5” and 350 pounds, mountain that attacks Bob “The Beast” Sapp. Wagner da Conceicao Martins vs. Henry Miller PRIDE 30: Fully Loaded May 23, 2014 (8:40) We might need a bigger ring as the 6’7” and 350+ pounds of Wagner da Conceicao Martins with all 6 of his MMA wins by KO/TKO readied for a titanic tangle in his PRIDE debut with former American sumo wrestler Henry Miller in his 5th PRIDE appearance. Mu Bae Choi vs. Paulo Cesar Silva PRIDE: Shockwave 2004 Dec 31, 2004 (8:14) “The Heavy Tank of Busan” Mu-Bae Choi was tearing through competition with his powerful Greco-Roman wrestling style to a perfect 4-0 record and targeting a titanic collision with the 7’2” Paulo Cesar “Giant” Silva in his 5th PRIDE appearance.